Her inspiration comes from her surroundings, both indoors and and outdoors, particularly motivated by Norfolk and Yorkshire being led in new directions by the processes she uses. Caryl works mostly with melted beeswax or paraffin wax and Procion dyes on cotton. Caryl studied at the Bath Academy of Art from 1962 to 1966, specialising in painting, printmaking and shadow puppetry. After a period of teaching she set up a business designing and manufacturing a range of puppets and play costumes for primary schools, which were sold across the country. 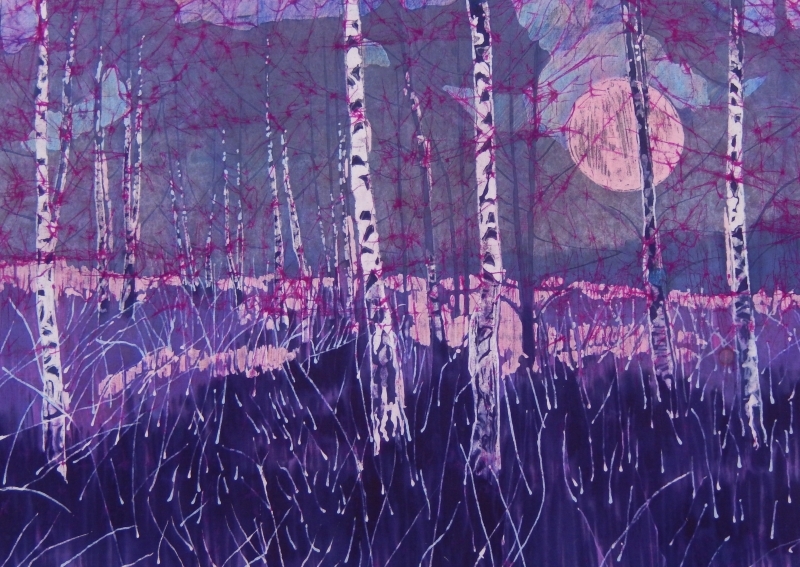 Introduced to Batik by Noel Dyrenforth, the acknowledge authority on the subject and inspiring teacher, Caryl embraced the medium and have been exploring its potential for the past 30 years. 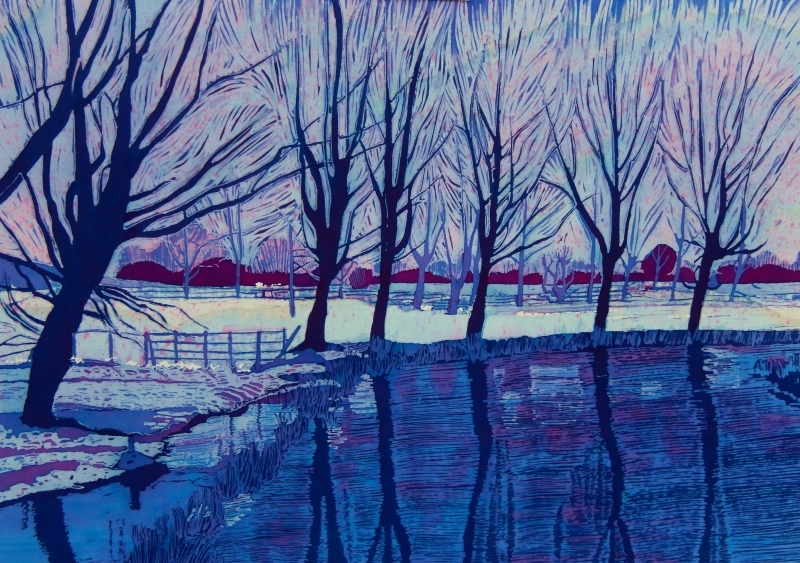 From 2001 until 2012 caryl ran the Harleston Gallery in South Norfolk, showcasing a range of Contemporary paintings, prints and crafts by professional artists. In 2004, Caryl was a founding member of the Harleston & Waveney Art Trail Collective, now celebrating it's 12 anniversary with a 40 strong membership.